Seventy-seven percent of respondents ranked budget or financial challenges among their top three challenges related to AI. 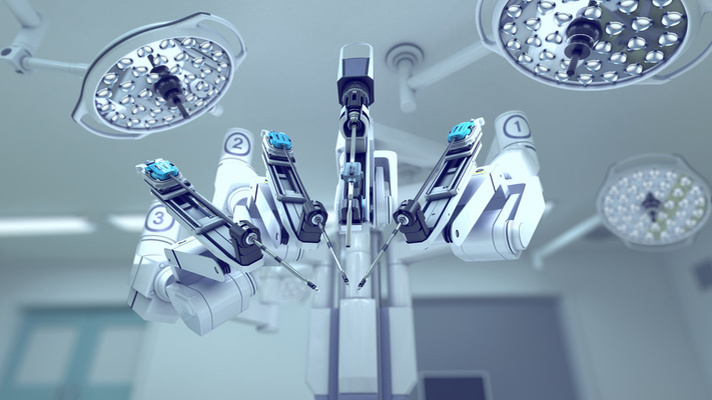 Healthcare providers are interested in increasing the role of artificial intelligence in their organizations in the near term, according to a recent HIMSS Analytics survey, sponsored by Intel. Fifty-seven percent of providers plan to leverage AI in their financial departments within the next two years; and 52 percent plan to leverage AI initiatives in clinical departments within the next two years. However, the implementation of AI initiatives also comes with challenges, according to respondents. Respondents — who included business leaders, IT leaders, IT professionals and clinical staff — identified three primary challenges for organizations seeking to leverage AI initiatives. Those challenges, in order of significance, were: budgets/financial resources, lack of technical expertise, and lack of infrastructure. More than one provider mentioned the long-term nature of the ROI related to AI initiatives as a specific financial challenge. The CIO of one intermediate-size provider (251 to 500 beds) explained: "Our senior executives want to see results. Our board of directors want to see results. But when you're doing research and discovery on new technologies, it takes time before you start to see tangible results. ... When you buy a new MRI machine, you start seeing patients; it starts generating billings and revenues, the ROI is tangible. Investing in AI is not as immediately tangible. It's going to take multiple years until you start to see the results. So you have to keep reminding the people that are making the decisions and allocating the funds that that's the case." The survey showed providers are taking varying approaches to solve their shortage of in-house expertise related to AI. Forty-two percent of respondents intend to reallocate and train existing resources; 41 percent plan to outsource human capital needs related to AI. Only 21 percent plan to hire to fill new roles. Nearly one-quarter (24 percent) reported they were uncertain as to how they would approach challenges related to staffing expertise needed to support AI. In response to technology infrastructure challenges, 45 percent of respondents said they would ‘”do what we can with the systems we have in place.” One-third (34 percent) said they would outsource, using third-party solutions, such as SaaS or an off-premise data center. One of five (20 percent) said they would reinvest in scalable infrastructure. “Future Proofing Healthcare: Artificial Intelligence,” conducted by HIMSS Analytics on behalf of Intel, September 2017.